The mission of the Rutgers–Camden Center for the Arts (RCCA) is to present exhibitions, performances, education programs, and community projects that inspire a full appreciation and enjoyment of the arts, create meaningful opportunities to participate in the arts, advance the central role of the arts in PreK-12 education, and increase awareness of the arts as essential to cultural, economic, and community vitality, serving the City of Camden, South and Central New Jersey, and Greater Philadelphia. 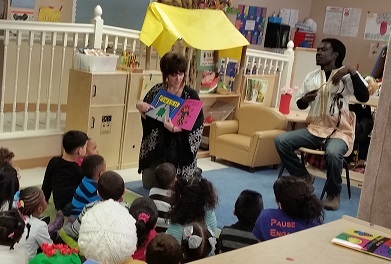 For 30 years, RCCA has designed and implemented research-based arts education programs for NJ’s PreK-12 schools that teach in, about, and through the arts, stimulating students’ learning by opening up new pathways to understanding across disciplines. Programs include the Museum Education Program, Stages of Discovery Performance series, On-Tour Arts Education Programs, Artist Residency Programs in the schools, Poetry Out Loud, and The Big Read. For more than 20 years, RCCA has conducted out-of-school arts education and community arts projects in Camden in collaboration with neighborhood anchor organizations and qualified artists. 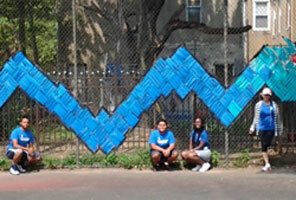 Camden Art Gardens programs transform and add visual and aesthetic elements to the urban environment. Other community programs include The Big Read, parent workshops, after school arts programs, and summer performances and studio programs. Rutgers–Camden Center for the Arts presents a series of exhibitions and related programs in the Stedman Gallery. The exhibition program includes those curated by in-house and by independent curators. Programs include symposia, lectures by scholars and artists, and tours. Recent exhibitions have featured: Visions of Place: Complex Geographies in Contemporary Israeli Art; and George Segal in Black and White: Drawings and Sculptures. Donations in memory of Eric Porter, friend of RCCA and talented artist and photographer, support a variety of special projects. 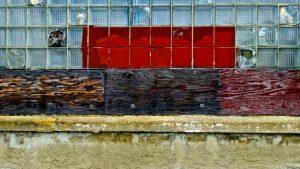 These include the Stedman Gallery Purchase Prize awarded to a Department of Fine Arts graduating student participating in the end of year and end of program Thesis exhibition. The student’s work becomes a part of the Rutgers-Camden collection of art, the work is displayed on campus, and the student receives a cash award. Page last updated by Rutgers–Camden Center for the Arts at 2:57 pm November 28, 2016 . This page was printed from http://rcca.camden.rutgers.edu/support/ at 5:43 AM Friday, April 26, 2019.